The 2019 Exhibit Hall map and exhibitor list will be coming out in the spring, so stay tuned! To get an idea of the scope of the Exhibit Hall, the Gen Con 2018 map can be viewed as either a downloadable PDF or by using the searchable, interactive convention map. You can also search the 2018 Exhibitor List to locate company's booths. 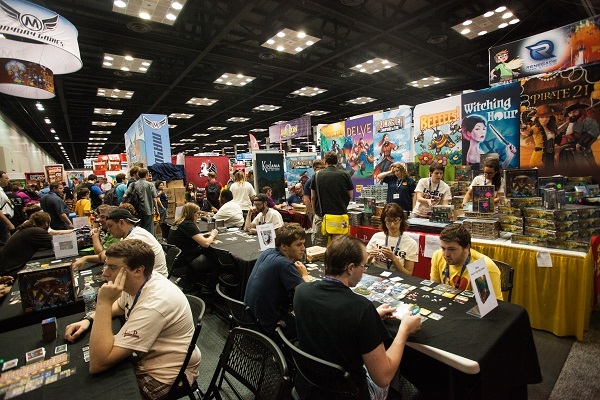 Gen Con has a wide range of marketing and sponsorship options available, and you do not need to be an Exhibitor to take advantage of these opportunities. Please browse the Gen Con 2019 Sponsorship & Marketing Booklet to review our many product options. If you have questions or would like to book any marketing or sponsorships, please contact exhibitors@gencon.com. Interested In Exhibiting at Gen Con? Thank you for your interest in the Best Four Days in Gaming!™ Gen Con's 2019 Exhibit Hall is sold out, and our wait list is closed for the year. 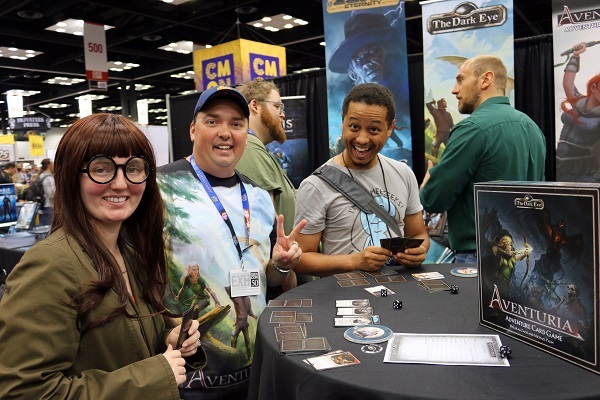 If you would like to be notified when applications open for Gen Con 2020, please complete this form and you will receive an email with application details in early November 2019. Gen Con Exhibitors must comply with all Exhibiting Rules & Regulations.